TRAPPER Pest Monitor is a reusable, plastic station used with TRAPPER MC Glue Trap to monitor for both insects and mice. 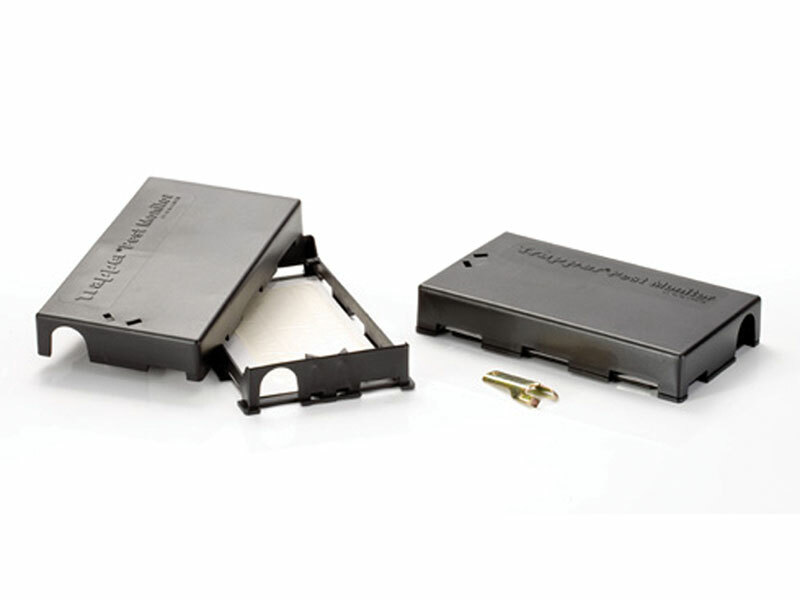 For monitoring insects and mice, place a TRAPPER MC Glue Trap in the base, using the clips to hold the glue trap firmly in place. Insects can access Pest Monitor from holes on all four sides. Mice enter through the two larger holes that are adjacent to the wall. To prevent mice from accessing Pest Monitor, rotate the top, covering the two larger holes.